Thank you for your order! Let’s get started right away, because you’ll need to set your intentions between 4:44 pm EDT on Tuesday the 2nd, and midnight ET on Wednesday the 3rd of August for them to be most powerful. and find the post with this image and the notice ***Official Thread*** at the top. (Note: sometimes it’s a little tricky because people like to share, so please make sure it’s the original post). If you need help finding the right thread send me a private message. I’ll try to tag you, but you will have had to have liked the page for the tag to take. You can choose whatever theme you like for your super-charged intentions. 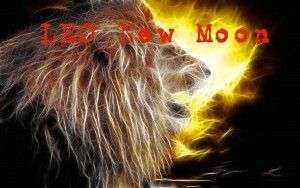 If you know what house contains 10 degrees 57′ Leo in your birth chart, you can use that for inspiration. Otherwise, themes around Love, playfulness, the inner child, shining your Light, creativity, and committing to following the call of your heart are all à propos. Most importantly: you MUST get your intention posted between the hours of 4:44 pm Tuesday and midnight Wednesday (EDT) for the magick to be at its maximum potency. Shortly after midnight on Thursday morning (12:13 am EDT precisely), the Moon goes void of course, and all intentions posted then will be flat. I’ll be answering your intention with a pull in the order in which they are received. If your intention is posted within the potency window, it doesn’t matter if the pull happens after it closes–the magick is still good! Also–this is my extensive training as a teacher showing–I’ll be letting you handle the first stab at interpretation of your stones. Because you know a lot more about you than I do, right? I’ll come back with clarifications and additions as needed, and always with comments, congratulations, or deepening questions for you to consider. You can use my specially-designed-for-Crystal-Oracles Earth Magick Essentials guide, where information on all the stones is gathered into handy, easy-to-read tables (you can also read my philosophy of using Crystal Magick) or look all the stones up individually online. I can’t wait to pull stones for you!